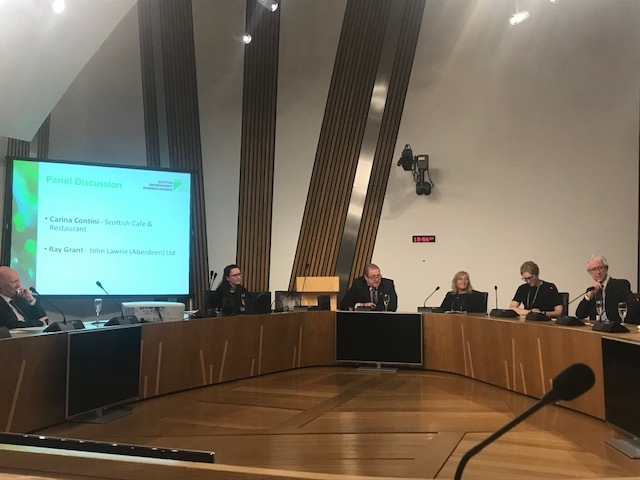 The Scottish Cafe was asked to participate as part of a panel discussion with other winners of this very prestigious award introduced by the Cabinet Secretary for the Environment. The event was to launch the awards for 2018 – widely accepted as one of Scottish leading multi industry sustainable awards. The Scottish Cafe & Restaurant at the National Galleries of Scotland were seen as a key contributor on the evening. 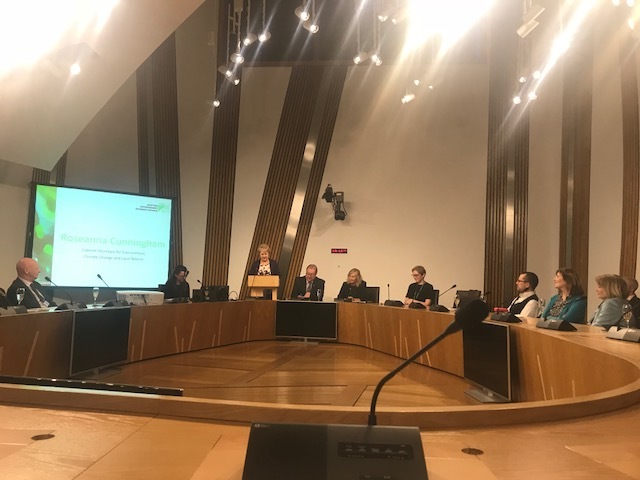 Attended by just under 100 guests in the Scottish Parliament yesterday and it was a privilege to be asked to contribute at such a level, wide reaching and influential event. The invite came on the back of our award in November last year when we were commended for our sustainable practices. 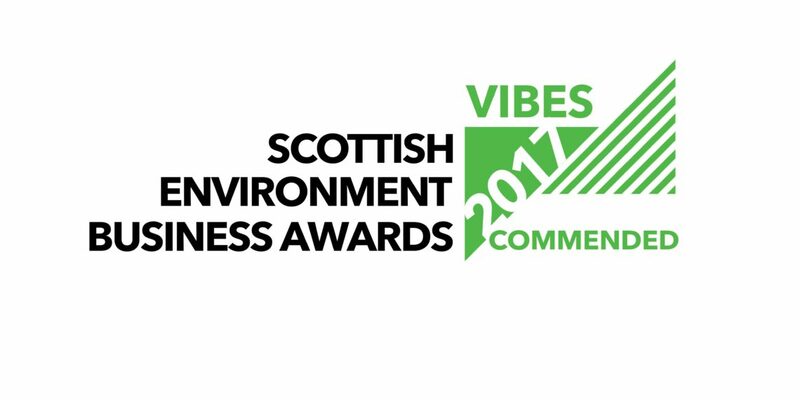 The VIBES Management Award recognizes businesses whose management systems deliver continuous improvement in environmental performance. The category is aimed at businesses that are taking a holistic approach to environmental improvement and can demonstrate the associated economic and social benefits that have been achieved. The judges recognised the strong sustainability ethos of the restaurant and noted that it is very proactive in spreading the message of eating local food in season which has been produced in an ethically and environmentally sound manner. 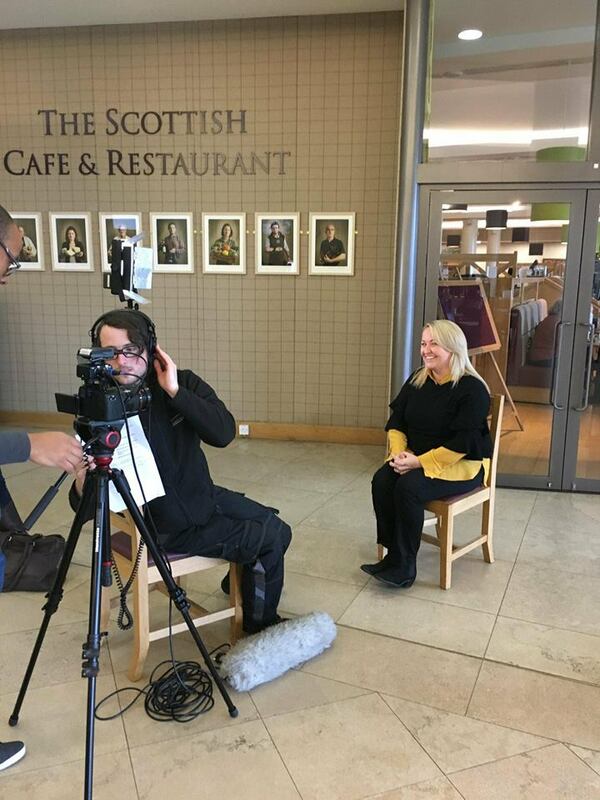 The Scottish Cafe & Restaurant have benefited from minimising waste, portion control and training to reduce kitchen wastage, providing an annual business saving of £7,200 per year. Work with suppliers to reduce waste. Kitchen staff trained to use all elements of produce by use in complimentary dishes – staff are sent out to suppliers to ensure a full understanding of the production costs to ensure that produce is treated with respect and waste is limited. Use car share rather than own transport – LCA carried out on purchase of EVehicle indicated that Enterprise car club was more sustainable option. The judges were also impressed with the staff engagement and understanding of sustainability and how this impacts on the business. The Executive Chef is tasked with identifying 2 new sustainable suppliers each month (many of these suppliers are 1 person businesses who are given their first commercial order by the restaurant and are then supported in their development by the green team and management of the restaurant).